The Book Industry Study Group held their regular BIC Breakfast meeting last month on the 25th of April focusing specifically on accessible ebooks. Speaking to a full room Emma House, Deputy CEO of the Publishers Association in the UK, opened proceedings with a presentation on the importance of accessibility and setting the scene in terms of legal and international requirements. Richard Orme, CEO of the DAISY Consortium, followed presenting a range of tools and support services based on industry accessibility standards. 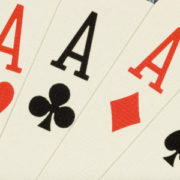 In particular, he concentrated on Ace, the new , open source, EPUB Accessibility Checker, a newly developed knowledge base built to accompany Ace and SMART (Simple Manual Accessibility Reporting Tool). Chris Saynor from EDItEUR rounded off proceedings with a presentation on the importance of accessibility metadata looking specifically at schema,org, ONIX, the crosswalk and the role of each. Chris was asked the question whether accessibility metadata was actually being used by retailers and it was promising to hear that this is indeed starting to happen and that Amazon are keen for publishers to supply this level of detail. For further information on this interesting event and access to the slide deck used by all speakers, readers should visit the BIC website. The Digital Publishing Summit Europe, being held in Berlin on the 16th and 17th of May, 2018, has a significant focus on accessibility this year. EDRLab, the organizers of this popular event, aims to “strengthen a true spirit of cooperation between professionals supporting the adoption of open standards and software by the European publishing industry”. Avneesh Singh, COO of the DAISY Consortium, will be presenting a session on EPUB 3 and accessibility alongside Stephan Knecht, CEO of Bones AG. Avneesh and Stephan will concentrate specifically on validation tools and processes which can enable the publishing industry to implement accessibility with consistency and uniformity across diverse production processes. The new EPUB accessibility checker, Ace by DAISY, will demonstrated at this session and delegates will also benefit from an accessibility focus throughout the summit – from an introduction by ABC Excellence Awards Winner, Luc Audrain from Hachette Livre, to a presentation given by Cristina Mussinelli of the LIA Foundation, we look forward to an exciting and informative event. For further details on the full program and registration see the DPUB Summit events page. 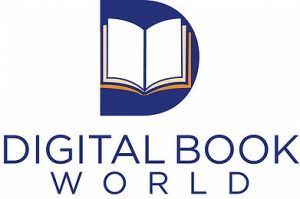 The popular mainstream publishing and technology conference, Digital Book World, is scheduled to return this year with a new focus and an exciting program. Accessible publishing will feature in Nashville as well as other publishing hot topics and DAISY are delighted to be be playing a significant role at the conference. The session entitled “Building Accessibility Into Publishing Workflows: From The Ground Up” will be delivered by DAISY speakers and the Consortium will also play an advisory role in the creation of an Achievement in Accessibility in Publishing Award to be presented at the awards ceremony.